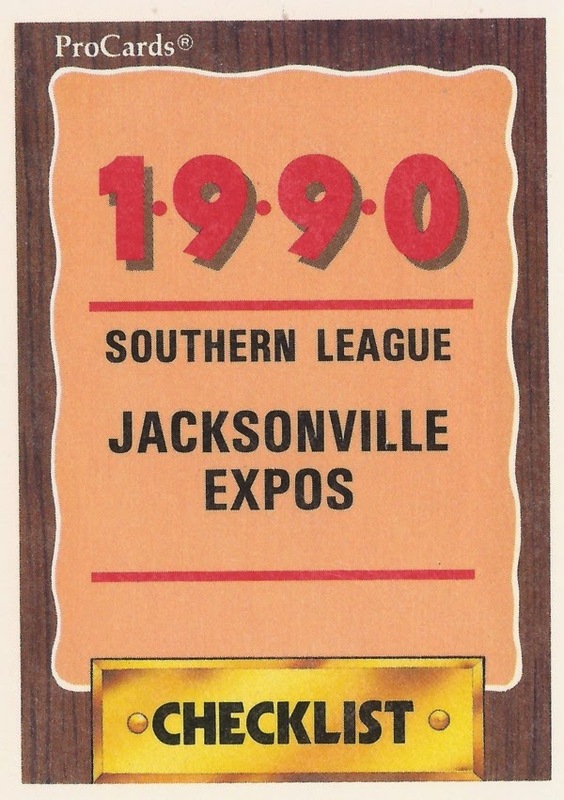 Features on each member of the 1990 Jacksonville Expos, AA affiliate of the Montreal Expos. Click on the player's name to read more. Lorenzo Bundy finally made the majors as a coach with the Marlins, more than 15 years after he began. Bret Barberie was a scrapper-type infielder. He played in six major league seasons. A scout's chance on Brian Barnes paid off with Barnes getting time in five major league seasons. 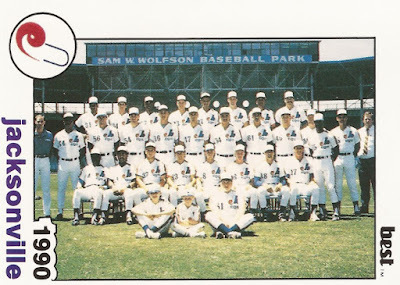 Chris Bennett made the Expos winter roster in 1989. He couldn't make an in-season major league roster. Kent Bottenfield had tough insides, took them to an 18-7 record in 1999. Mario Brito pitched well in the 1990 AA playoffs. He never got the chance to pitch well in the majors. Lorenzo Bundy wanted teams to hit. He now wants them to score as the Dodgers third base coach. Jeff Carter believed he could fill a major league relief role. He made the bigs for five outings. Archi Cianfrocco gained confidence at the plate, enough for seven seasons in the bigs. Greg Colbrunn hit a mammoth home run in his 11th major league season. He hit 98 total. Nardi Contreras didn't have big name but he served as a major league coach for the White Sox, Mariners and Yankees. Wilfredo Cordero had physical ability and good hands, enough for 14 major league seasons. 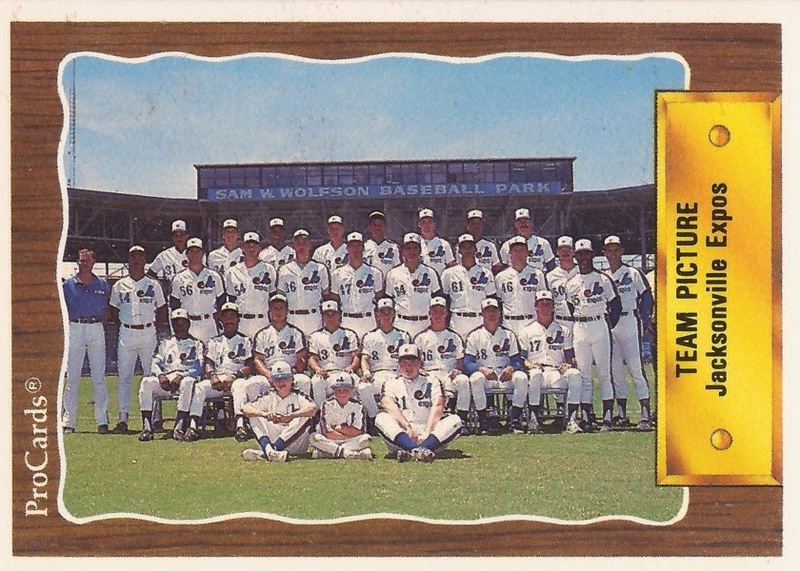 Terrel Hansen got his call to the bigs, but didn't get into a game. He never got back. Cesar Hernandez made differences in major league games, good ones and bad ones. Bryn Kosco had a career day in college. 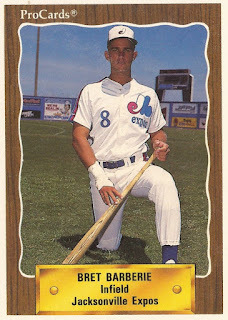 He played nine seasons as pro, but he never made the bigs. Richie Lewis helped the Marlins with his arm and his bat. He played in seven major league seasons. Bob Malloy made the jump from single-A to the majors. He had two brief stays. Jerry Manuel took his plan to the 2000 AL Manager of the Year award with the White Sox. Edwin Marquez ran into visa problems as a player. He never made the majors. Omer Munoz never got a chance to play in the majors. He played 11 seasons. Chris Nabholz came back from injury, got some breaks and pitched in six major league seasons. Bob Natal contributed to a win after getting recalled from the minors. He played in six major league seasons. Trevor Penn saw the ball well after returning in 1995. It was his final year as a pro. Yorkis Perez claimed his part of the plate. He did so in nine major league seasons. Tim Peters pitched well in an exhibition against the big club in Montreal. He never got into a regular season big league game. Hector Rivera's career was slowed by injury. He only played three seasons. Miguel Santana tried to stretch a single-A hit too far in 1988. His career never stretched to the majors. Tim Sossamon had good velocity in his first season. He eventually played five, but he never made the bigs. John Vander Wal liked fastballs. He hit them in 14 major league seasons. Jay Williams' preference is not to be noticed. Darrin Winston never gave up. He then made the bigs. He passed away in 2008 at age of 42.